Tigerlilly Quinn: Bonding, Babymoons and Baby Massage! I've been doing a bit of work with Huggies Wipes lately as part of their ambassador programme. As part of a four part series of posts/videos with them. You can see the first one of my videos here if you like! 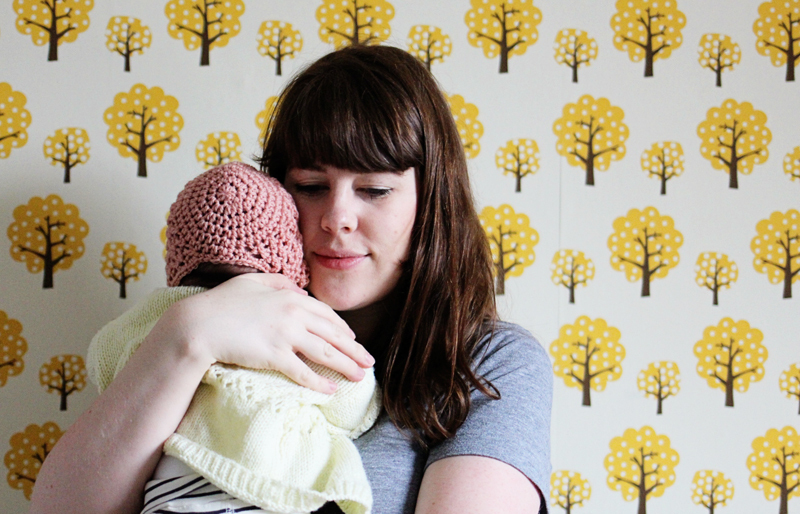 This month I'm going to be chatting to their resident experts my midwife (and blogger) friend Natalie and Gayle Berry (Huggies Wipes baby bonding expert) about baby moons, baby yoga and bonding in those first important months. The first two questions below are answered by Natalie and last two by Gayle. I hope you find it interesting! --How important do you think the postpartum period is for bonding with your baby? With both my babies friends and family came round within the first 12 hours and I was also having to leave the house for doctors appointments and babies first checks. I found myself longing for just time alone with my baby, what do you think of a 'baby moon' period post birth? If I'm honest I would have loved about two weeks without seeing anyone but my husband and kids! Oh my gosh what a great question. I talk about this a lot, as new parents and their families often forget that this time is very important, many are just focused on surviving the birth. I always encourage parents to hold off their visitors for a few days at the very least. The first few days is a wonderful time to just get to know your baby, and to be completely led by them. Encouraging as much skin to skin as possible, regardless of how your feeding is a really lovely bonding experience for both parents during this time. And obviously sleep (or lack of) is a major factor. Many couples have been running on adrenaline for a few days prior to the baby coming, and after the birth it is important to grab sleep when you can. Having to worry about whether your hair is brushed or whether your top has milk stains or if the house is clean are worries that can wait. So, if possible, get all the important people like your parents to visit when you are at hospital. As I know many would not be able to stay away. And then when you get home have a week or so just to yourselves and focus on your new family member. You'll really appreciate that time and will reap the rewards later on. 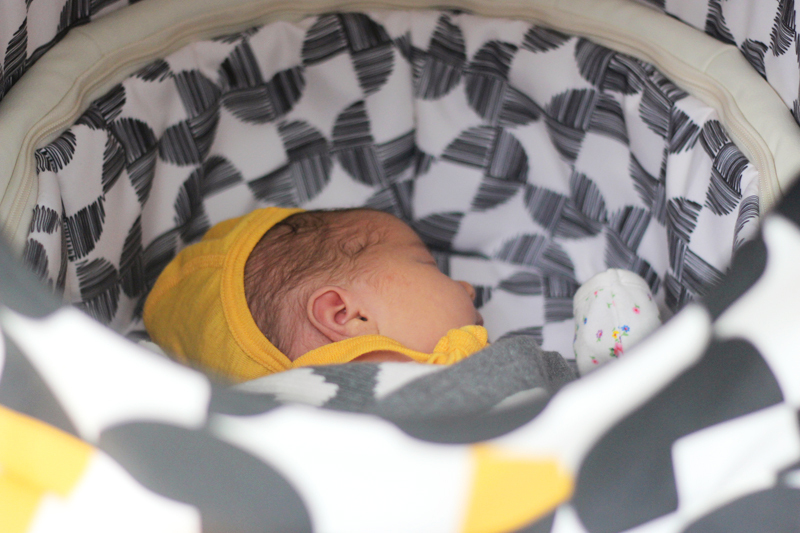 --My first child had quite a quick delivery and was a really bad sleeper for about the first 18 months seeming in discomfort for quite a lot of it. I've heard since that cranial osteopathy might have helped, have you any experience of this? Yes both professionally and personally. I would highly recommend new parents in seeking advice from a cranial osteopath. We had osteopaths come into our hospital and work with the babies in the neonatal unit. I have witnessed the immediate calming effect on the babies. It certainly seemed to help my daughter when she was experiencing bad colic and wasn't sleeping well. --When do you think that a bedtime routine, winding down, baby massage etc would be most beneficial? Is it best to do it from day one? Bedtime routines can be useful to help establish a regular practice for you and baby. It is important to be aware that babies are unpredictable and their needs change from day to day so its good to be flexible around any routine you may like to establish. Babies under 18 months don’t have a sense of themselves, time and live in the moment. Their needs change very quickly from day to day so having a strict routine can lead to frustration. Taking the lead from your baby and responding to their needs will lead to a happy secure baby who trusts you. You are your baby’s first teacher so how you respond to him, informs and educates him about his world. Treating your baby with love, respect and care is the most important thing. Routines evolve and happen naturally over time. Very little babies can find it difficult to settle into a routine as they have some many different mood states in one day. The first 6-12 weeks your baby is just adjusting from the womb to the world so great care needs to be taken to make sure this is as gentle and loving as possible. It is also important for you to look after yourself. The focus being on rest recovery and bonding with your baby rather than trying to create a strong routine. Babies tend to fall into natural routines after 12 weeks. You can massage your baby everyday to help stimulate his nervous system, help with digestion and to help with bonding. This is a great practice to get into and studies show that babies who are regularly massaged can sleep and feed better which many parents are concerned about. Babies in India have had twice daily massage after birth for 40 days for 100’s of years. --I took myself to a baby yoga class first time round but it was mainly for the mums to do yoga with the babies playing around on the floor. What benefits does baby yoga have for babies in particular do you think? Baby Yoga is based on the principles of adult yoga; breathing, stretching and relaxation. Baby Yoga classes help to get babies to stretch and move and to discover their abilities and bodies. Parents also practice gentle yoga stretches too which can help the body recover after birth. Yoga helps balance the body and mind and can help boost circulation and digestion, strengthen joints and muscles, and encourage removal of waste and toxins in the body. Baby Yoga is a fantastic way to support your baby’s development by improving muscle strength and tone, co ordination, and balance. It is also a wonderful way to bond with your baby and have fun together. It encourages instinctive parenting and promotes many well- used techniques for calming, soothing and reassuring baby. A session of baby yoga stimulates all baby’s body systems and helps to integrate all of baby’s senses. Baby Yoga sessions use fun rhymes and songs to help you learn the simple movements and to help relax baby. Any interactive activity with your baby is fantastic for encouraging binds between you. The greatest gift you can give your child is time and attention. --Do you think both of these activities are things you need to go to a class to or can you just teach yourself? You can learn online. 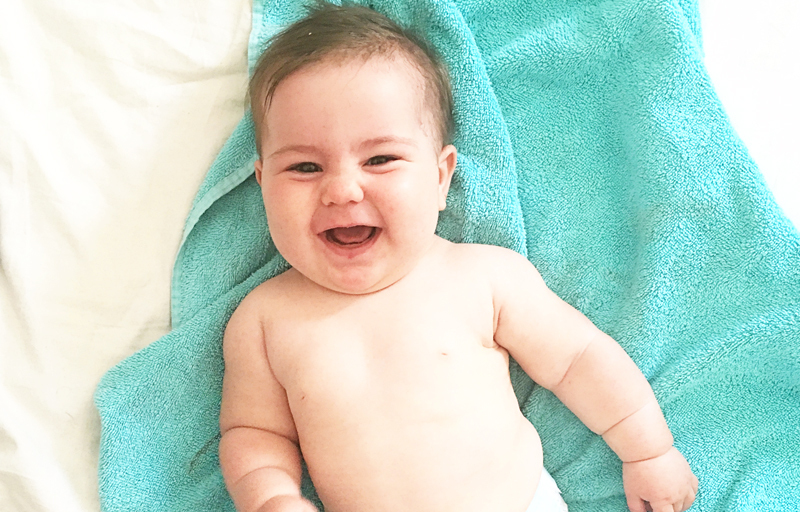 We have an online baby massage course you can enrol on the Blossom and Berry website but the advantage of a class is that you get to meet other parents and share ideas and experiences. Blossom & Berry instructors are also trained in supporting parents after birth, helping to make the transition into parenthood as easy as possible. 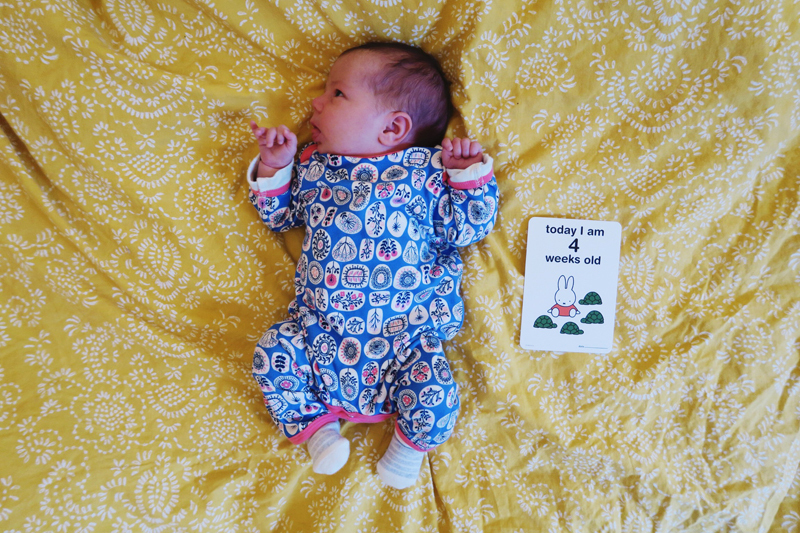 I mentioned in my Me and Mine post last month that we are both struggling at the moment a bit with lack of sleep and we've decided that eight months is probably time to implement some sort of routine. Over the past week days we've been trying to do a bath and a wind down, so a bit of baby massage, some lullabies then nursing to sleep. I haven't so far found it's given me much more sleep but I know these things take more than a couple of days and if anything it's helped a little with her getting overtired downstairs with us in the evening. I hope you found that interesting! Did you have a baby moon? Or try any of the above techniques mentioned? I'd love to know! 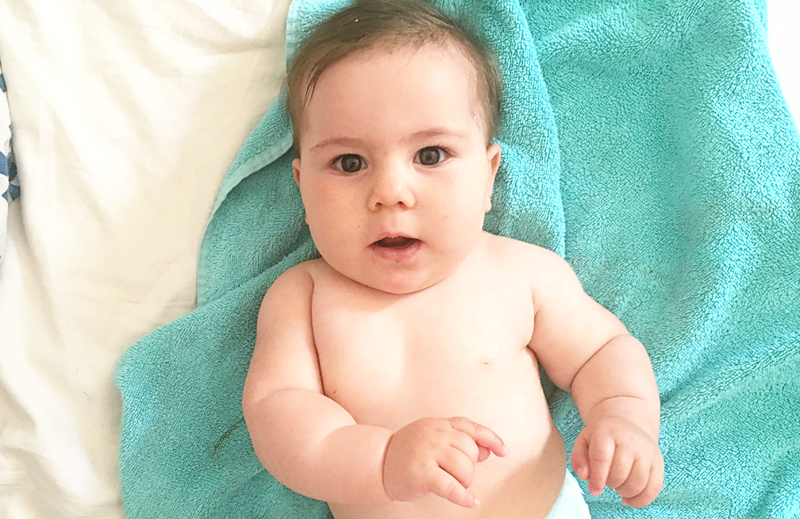 Huggies Wipes are made with natural fibres and 99% water which means they have no nasty parabens or things like that. Huggies want to ensure that baby change-time is also a special moment to bond with your baby.